We only provide the very latest hearing aids from world leading manufacturers in our Melbourne hearing aid clinic. We do so in order that you can be sure that you are getting the best hearing aids available for your hearing loss. We are so confident of our ability to deliver better hearing to you that we offer no obligation trials with Unitron Flex:trial technology where suitable. Your first consultation is always free and there will never be any pressure from us on you for a decision. We believe that we should supply all the facts you need to make your own decision. I truly believe that a relationship is more important than a sale. Because if you pick us as your provider of better hearing we are in it for the long haul. We guarantee that we will continue to help and support you on your journey to better hearing. Making sure that your hearing solution delivers for you today, tomorrow and every day. We offer clear and transparent hearing aid prices and in order to meet the changing demands of our customers we have introduced an unbundled hearing aid price structure. Unitron is an outstanding manufacturer of hearing aids who show real innovation in their products. Their latest product range which is based on the North platform has something for every hearing loss and lifestyle need. What's even better is that with their Flex:trial system you can try their hearing aids out at home before you buy them. So you can make informed decisions with all of the information you need. Premium hearing aids from a premium manufacturer, Phonak is renowned for high quality sound. They are also famous for quality build and fantastic reliability. With an extensive range of hearing aid types and technology, they have one for you, your hearing and your lifestyle. Superior German reliability and quality, Siemens who are now owned by Sivantos, aims to contribute to the quality of life of hearing impaired people by providing solutions for better hearing and understanding through empowerment of communication. 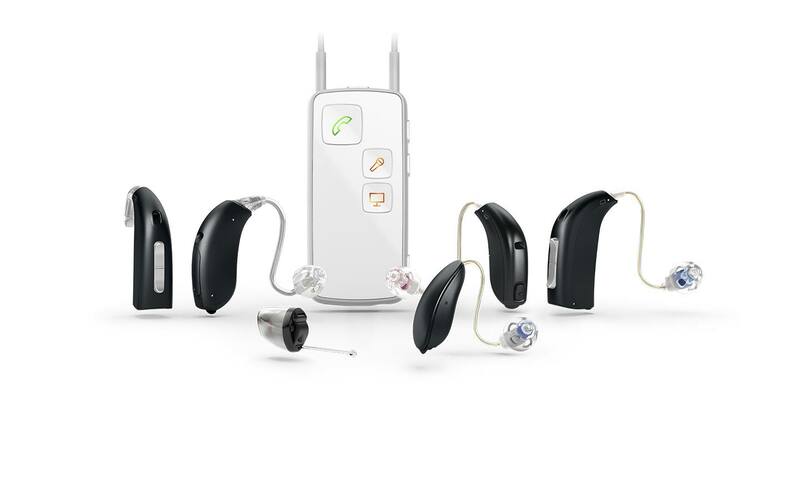 They have recently introduced a whole new range of hearing devices that are branded as Signia. Widex is renowned as one of the best hearing aid manufacturer's in the world. Since its inception in 1956, Widex has been committed to three core values that continue to inform its decisions and inspire their work, Originality, Perseverance and reliability. Those values are still sacred within Widex and they produce outstanding hearing aids. Gn Resound are a long established hearing aid brand that are also famous for innovation. They were first to market with a Made For iPhone hearing aids range which they have since updated. The hearing aids have generated real excitement outside of our traditional market. The word from users is that the hearing aids are outstanding and deliver excellent levels of better hearing in every environment. The Oticon story starts with one man’s passion to help his wife lead a better life, unhindered by her hearing loss. That passion, to empower people in need of hearing support, is what drives the company today. They provide quality hearing aids with a large focus on delivering sound stimulation to the brain. At Bernafon, they are passionate about developing quality hearing aids that enable people to enjoy authentic hearing experiences. Since 1946, Bernafon has been at the forefront of hearing system technology. Thanks to Swiss Engineering and precision technology, Bernafon has pioneered many market firsts and still delivers outstanding hearing aids today. Starkey is an American hearing aid manufacturer who became famous for their custom hearing aids. However, they have so much more to offer including being the only other brand that offers a Made For iPhone hearing aid, The Halo2. They have recently released another fantastic hearing aid range called the Muse.